Have you Heard the Name, ‘Kindle Fire’? 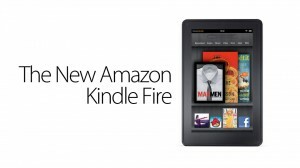 If you are a bookworm, you probably have heard the name ‘Kindle Fire’ by now. In fact, Kindle Fire is not meant for bookworms only. This amazing product developed and distributed by Amazon is actually meant for all sorts of electronic contents from Amazon that includes books, magazines, audio music, music videos, cinema, cool web or offline applications, games and what not. This Kindle Fire is basically a tablet version of a mobile device to enjoy all the stuffs that are electronically available in the Amazon e store. The operating system used in this wonderful device is Amazon Silk mobile browser and this browser is quite fast compared to the browser of any such mobile device. This device is about 7 inches long and has got a full color screen with all your Amazon content stored in a free storage called cloud storage. There had been a few previous version of this device named as the ‘Kindle’, ‘Kindle Touch’, ‘Kindle Touch 3G’ etc. The price range of these devices started from $79 and the new one is the most expensive of the batch costing $199. With your Kindle device, which is Wi-Fi only you can browse Internet anytime from any Wi-Fi hotspot and enjoy all those amazing contents that you can get from Amazon’s web store. Most of the contents developed for Kindle are available for users from US only. Amazon tracks your IP address whenever you try to access the contents for Kindle through this Wi-Fi enabled device. If you do not show up as someone from the United States, Amazon will block most of the web contents for you. Usually such geo blocking is applied as the copyright policies and the licensing issues are completely different in other countries. 2. Then you need to select the table ‘Manage your Kindle’ and then from the Country Settings select United States. 3. Change your address to an address in the United States. .
4. Afterward you will simply need to register for the credit card details.ver, the good news is with a valid credit card you should be okay as the card address does not necessarily need to be from United States. And afterwards, you can easily download any of the Kindle contents from Amazon’s web store. Just remember to use your US based VPN service providing you the steady American IP, every time you look for Kindle stuffs. If you want to know which VPN would be your best choice if you want to unblock Kindle while not being in the United States, then you should go through the following service providers’ websites and pick the one you like the most as they are the best VPN in the current industry.